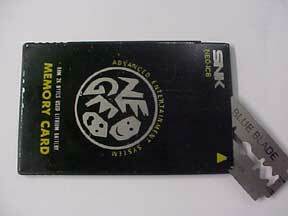 Toddys Neogeo memory card battery replacement page. 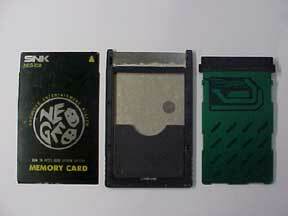 This page is intended as a guide for Neogeo memory card owners who have “dead” cards with flat lithium batteries that require replacement. 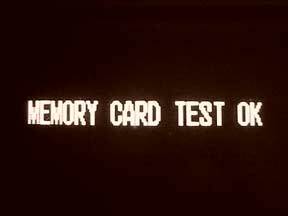 The object is to replace the lithium without visible damage to the card; I have gone through the procedure and ended up with a good working card with no aesthetic damage. Some simple solder work is required and experience in dismantling and reassembling small electronic devices would be a definite advantage. 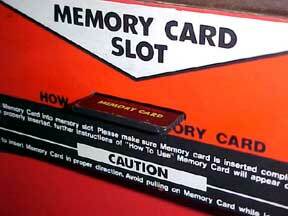 I take no responsibility for any damage or injury to card or user that may result from carrying out this procedure. 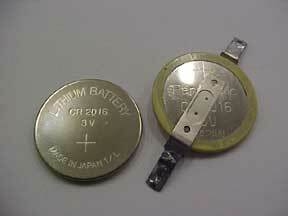 CR 2016, 3-volt lithium battery, preferably flat PCB mount type, otherwise see notes below. Step 1, dismantling the card. The front cover needs to be removed first, using a razor blade insert under one of the edges of the front cover, gently work around cutting through the adhesive (the covers are stuck on with a self adhesive tape), pouring a little iso alcohol into the area will loosen the goo and make the job easier. Have patience here, the razor needs to be moved around with a sawing action, and it will take time to cut through. Caution: There is a small fine spring that contacts the front and rear covers in order to create a common screen or shield, it sits in a hole in the outer plastic frame of the card. The card seems to work OK without the spring fitted, you can see the cut out for the spring contact, in the adhesive on the picture above, as you look at the card front on it will be on the left 25mm from the top and 5mm in from the edge of the card. Leave this area to the end, and then gently prize the cover off avoiding damage to the spring (must confess to damaging the spring in the process then later loosing it.) The pic on the right shows the card with front cover removed, the back of the pcb will be covered with the self adhesive goo, clean this off using iso on a rag, this pic was taken after the goo was already removed. It takes a fair bit of elbow grease. Cut around the front cover, beware of the screen spring. 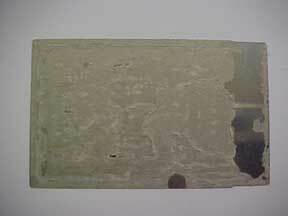 Cover removed. 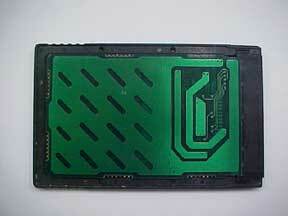 PCB sitting in plastic card body. 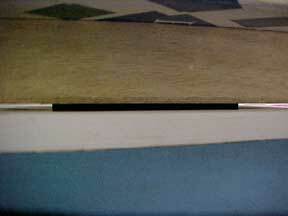 Rear of front cover, notice the cut out for the shielding spring. Step 2, removing printed circuit board. Cut into the top of the rear cover, you will only need to cut in about 20mm along the top to separate the plastic 68 pin edge connect socket which will allow the pcb to be removed from the card casing as shown in the pic below. Cut into top 20mm of the rear cover. Rear cover and main plastic body. 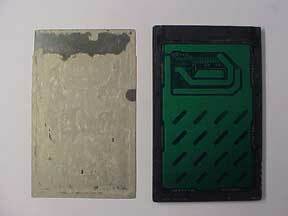 Front, rear cover/main body and printed circuit board separated. The works. 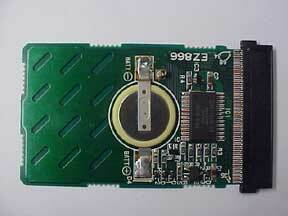 PCB removed with the original lithium battery. 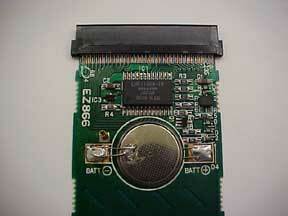 The original 3-volt lithium battery is a pcb solder mount Panasonic CR2016. I was unable to source a board mount type locally so soldered tags on to each side of a standard CR2016, the type used in calculators etc. If you are unable to source the solder in type and go for this method take care not to use excessive heat when soldering on the tags, it could damage the battery and/or cause the battery lithium to leak, lithium is nasty stuff- very poisonous I believe, so beware. 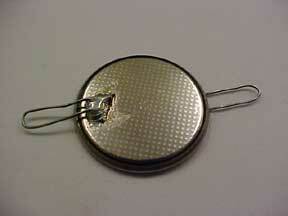 Remove the old battery; the new modified battery is then soldered back to the board. 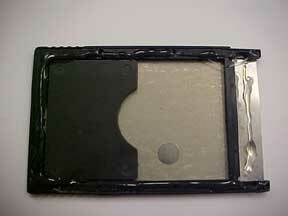 Make sure the tag on the negative side has adequate clearance so as not to short the battery. 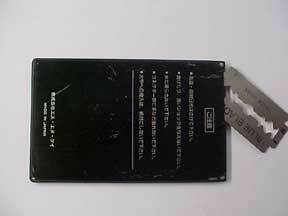 If the negative touches the back of the front cover when reassembled, no problem as it is at the same potential. New and old lithiums. New battery with tags fitted for mounting to the pcb. New battery soldered to printed circuit board. Step4. Putting back the pieces. For gluing everything back together I choose general-purpose clear glue, not wanting to make it too permanent, who knows, it may need replacing in another ten years. That’s it folks, but does it work ????? Alls well that ends well I guess.